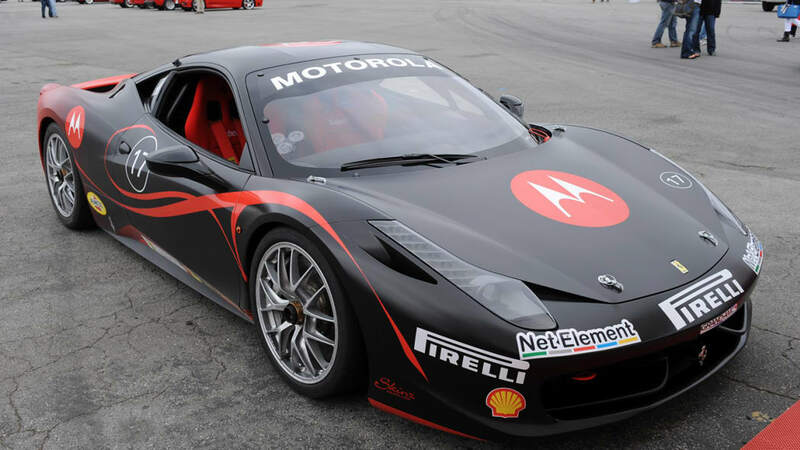 The 458 Challenge, the fifth generation track-only car built for Ferrari's Challenge racing series, was first unveiled in Maranello last summer with its first public showing at the Bologna Motor Show in December. 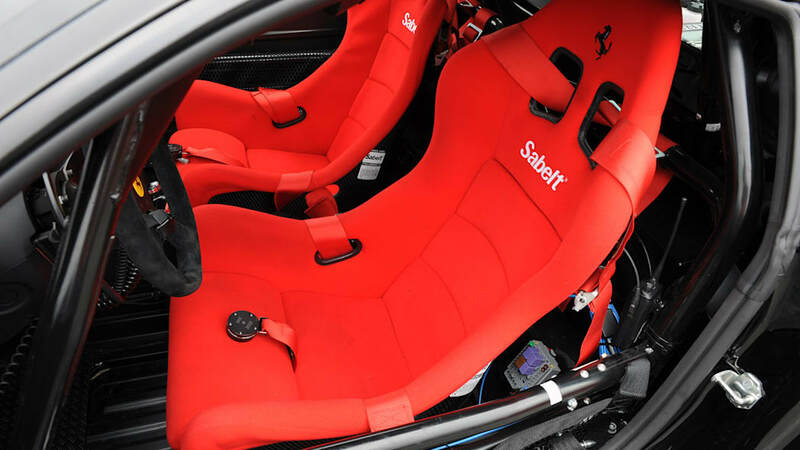 Coming from a long line of production-based race cars, the 458 Challenge represents the next evolution of the Ferrari 458 Italia line – one that will eventually lead to advances for the road car further in the future. 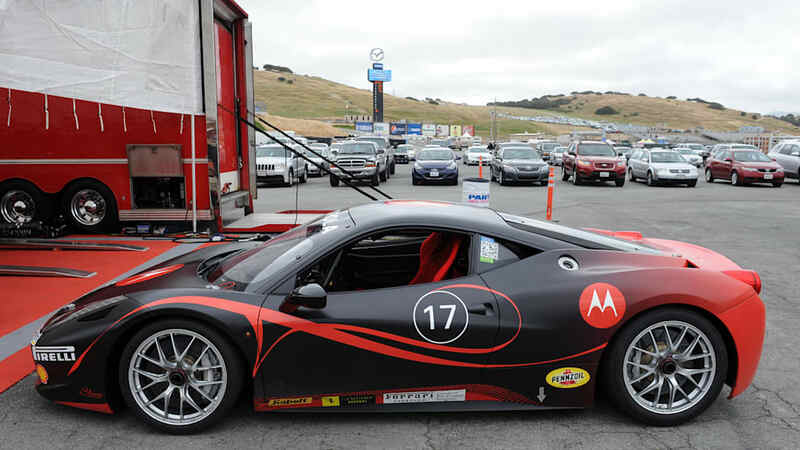 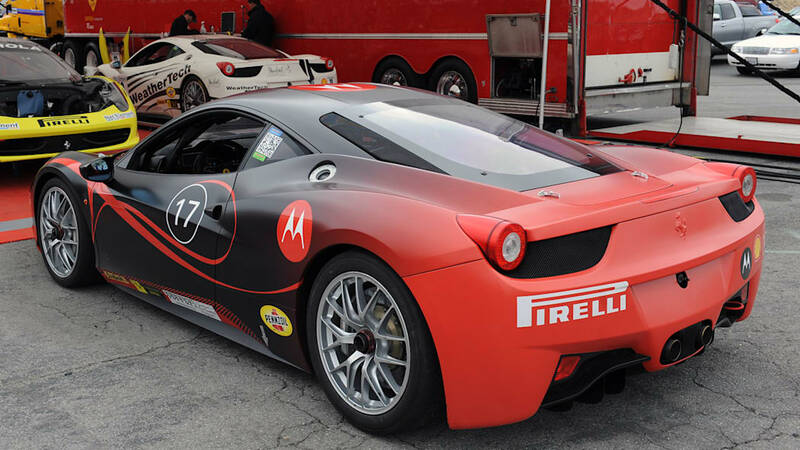 At the Ferrari Racing Days at Mazda Raceway Laguna Seca this past weekend, we were able to get up close and personal with the 458 Challenge to see what separates it from its basis, the 458 Italia road car, as well as its predecessor, the 430 Challenge. 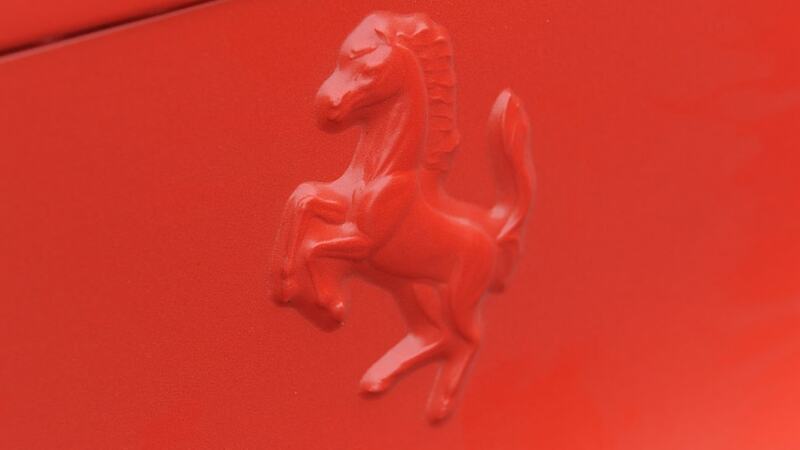 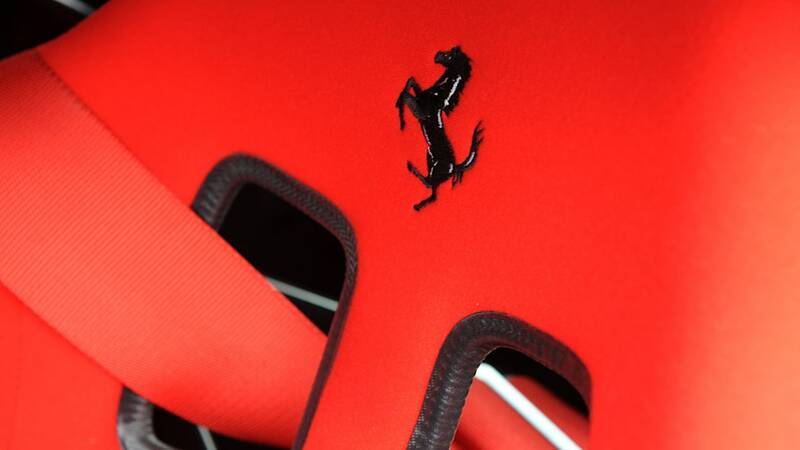 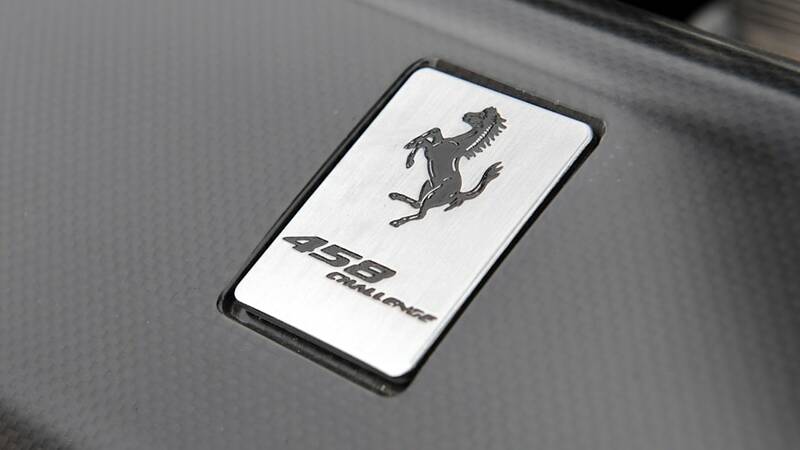 Follow the jump to see exactly what makes the 458 Challenge tick. 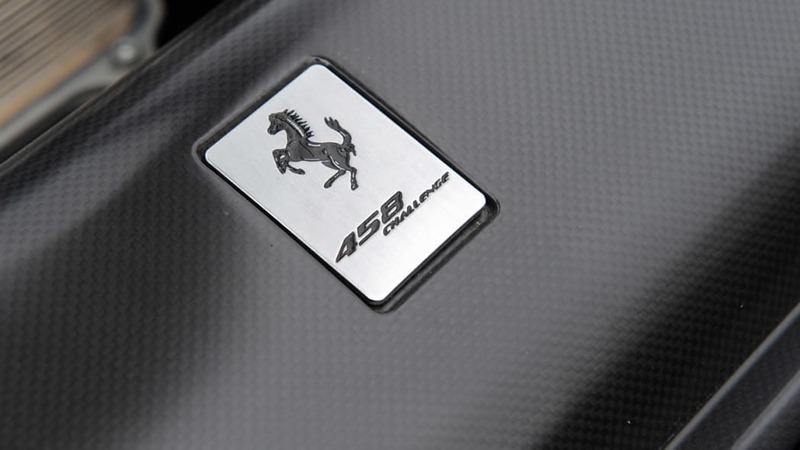 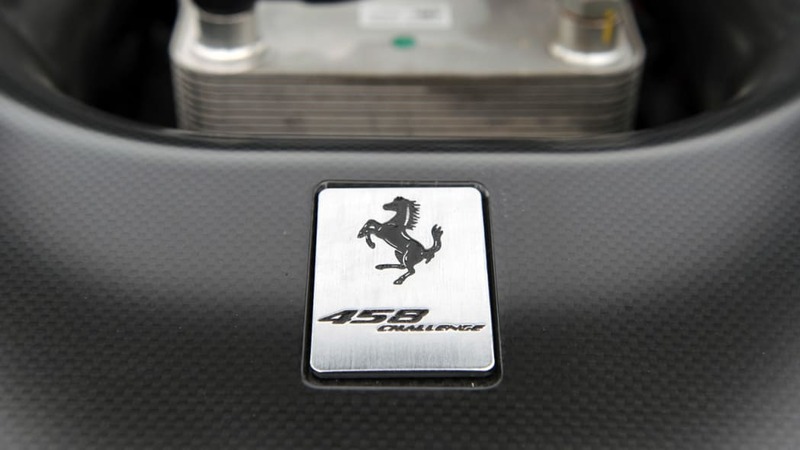 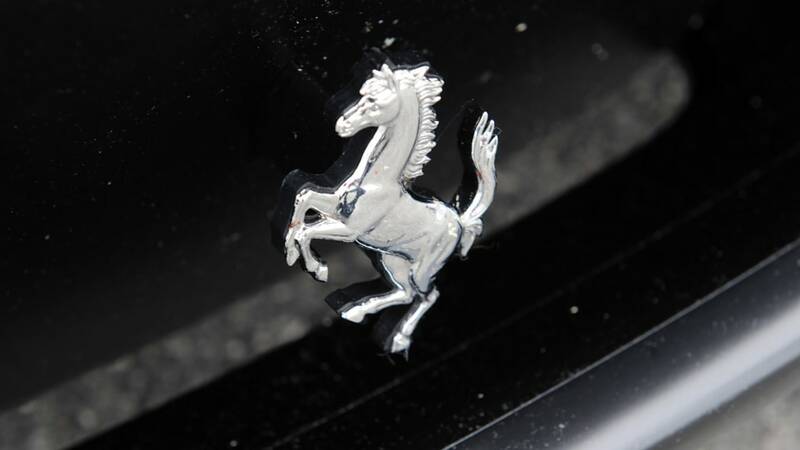 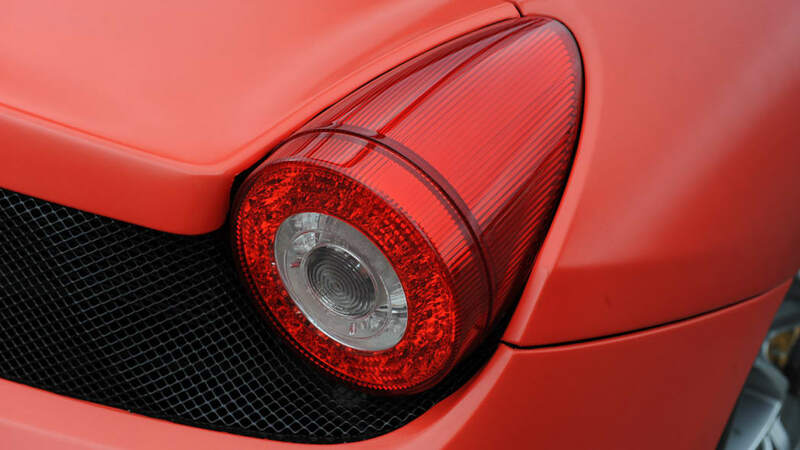 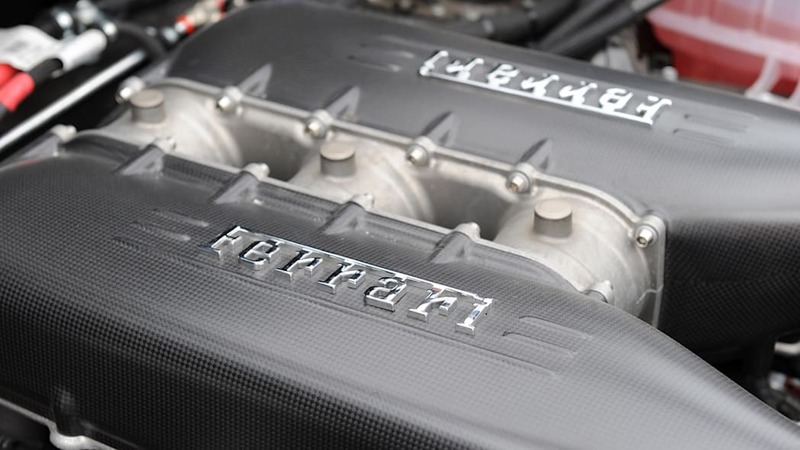 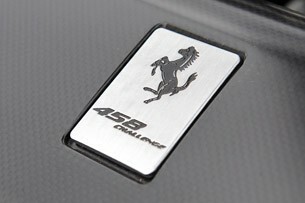 For starters, many aspects of the 458 Challenge remain the same as the 458 Italia. 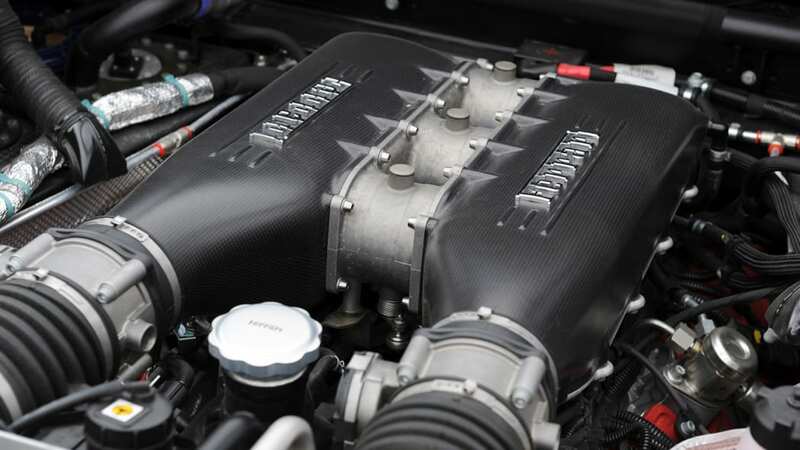 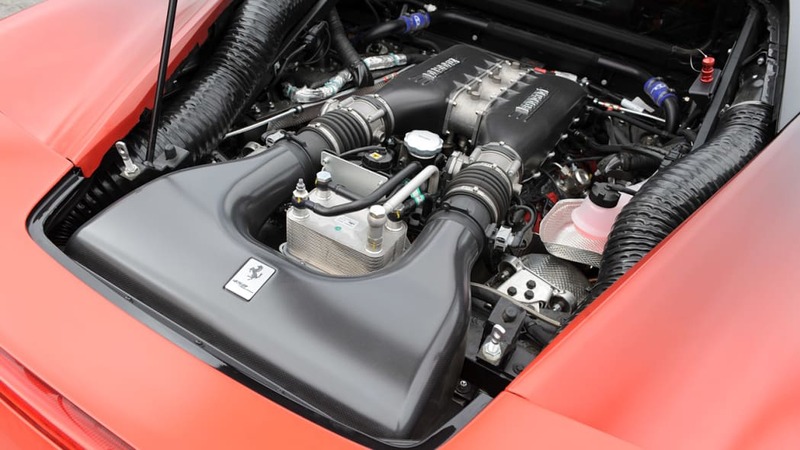 No wings, spoilers and diffusers have been added, and the 4.5-liter V8, which produces 570 horsepower at 9,000 rpm, is identical to the one found in the road car. 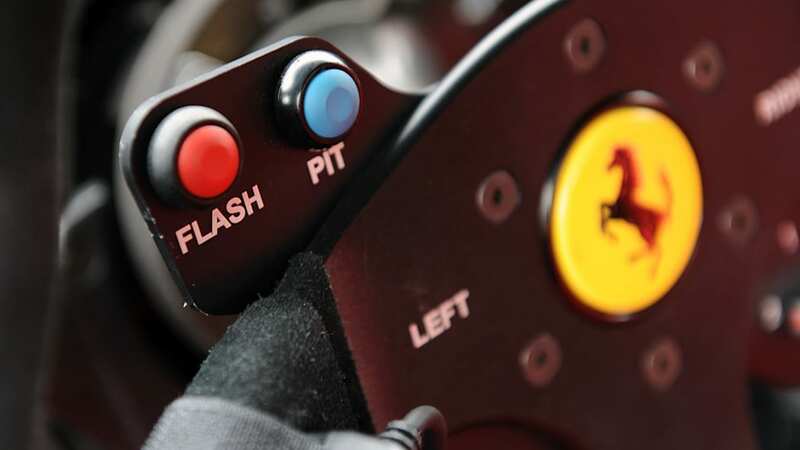 Some minor changes have been made to the dual-clutch F1 gearbox, though, to optimize torque in the lower RPM range. 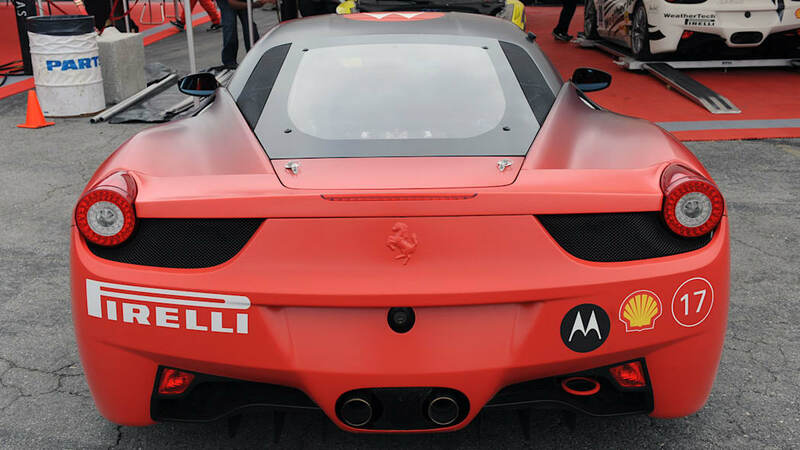 The outside of the 458 Challenge looks nearly identical to its valet stand brother, perhaps with the exception of its racing livery. 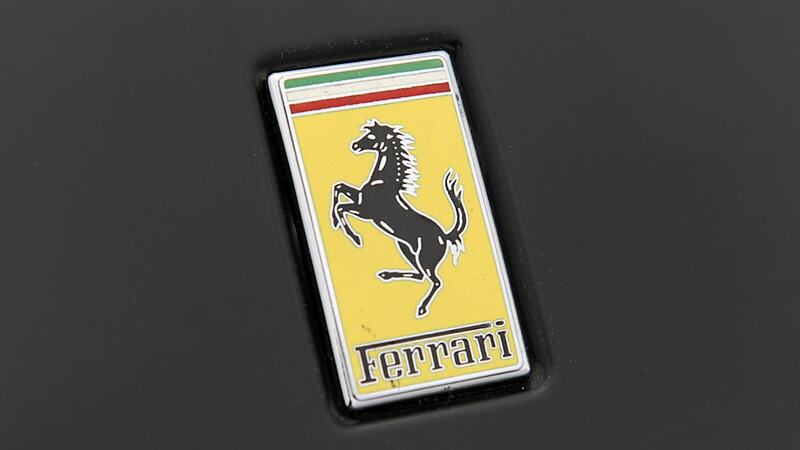 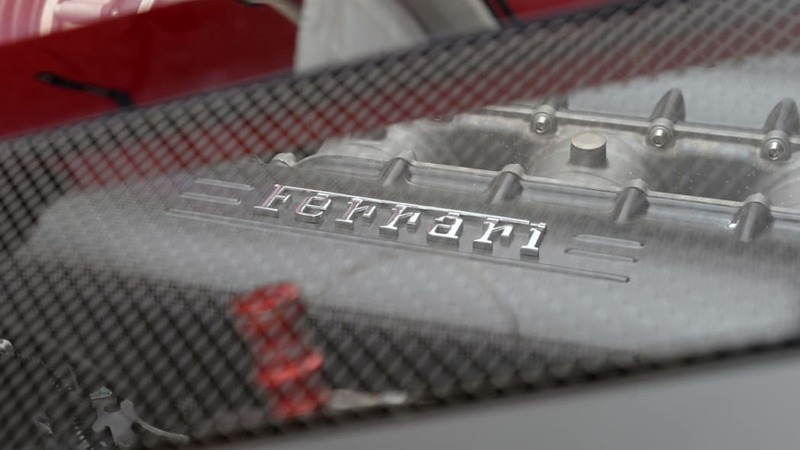 Ferrari has made some changes to save weight, however, by replacing the body panels with thinner and lighter carbon fiber pieces, and the glass windows have also been removed in favor of Lexan. 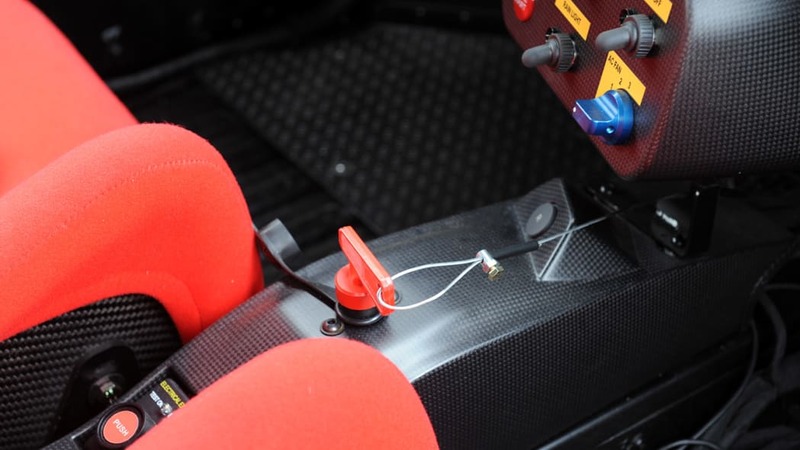 Some items necessary for a weekend of racing have also been added including a lift-off front bonnet, a racing fuel door and a tow loop at the rear. 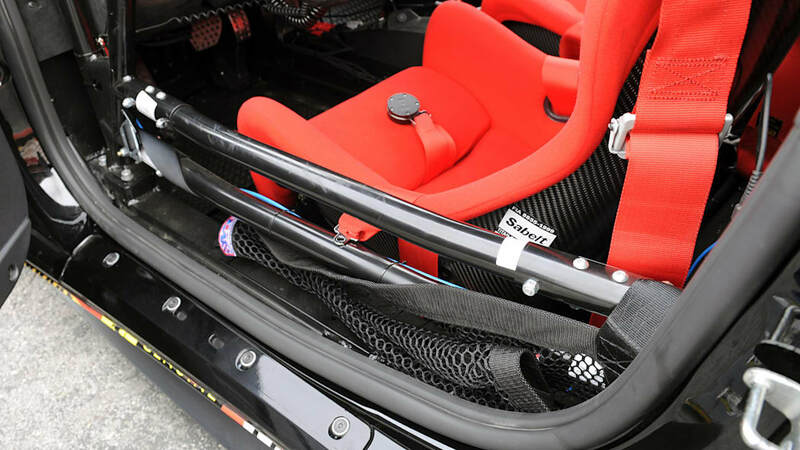 Inside the weight savings continue with lightweight carbon fiber racing seats and much of the interior trim stripped out of the car. 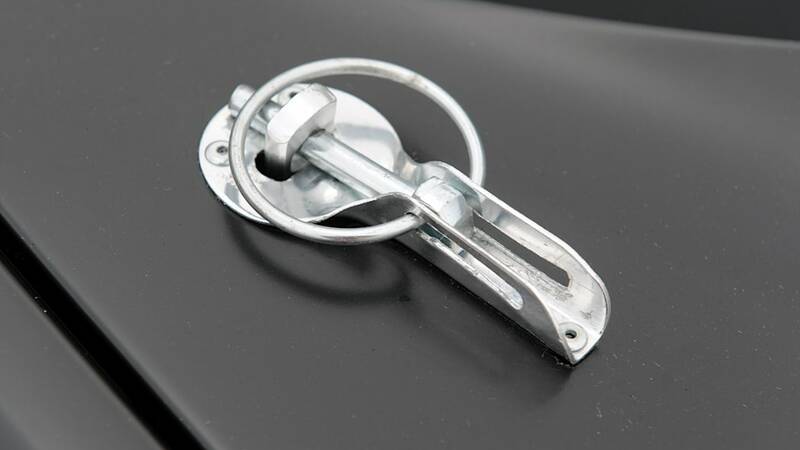 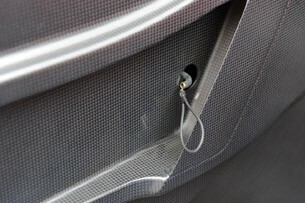 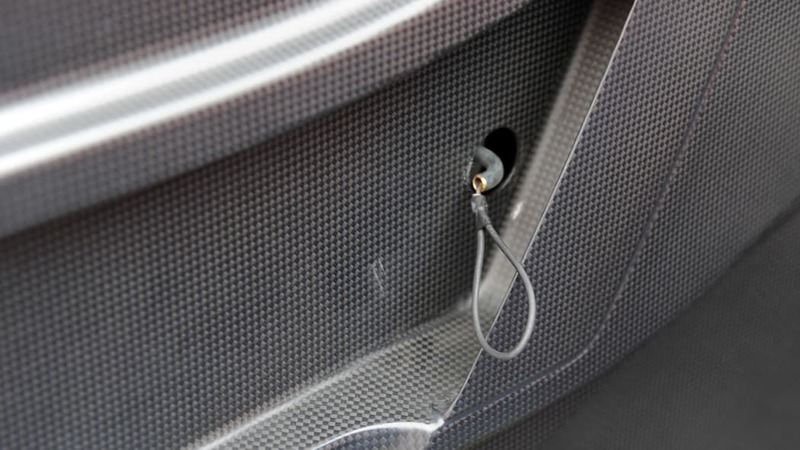 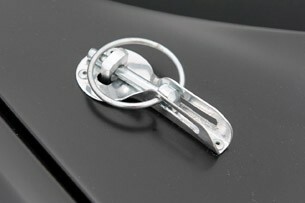 You can even see that a rudimentary wire loop has been added to serve as the door handle on the inside of the car. 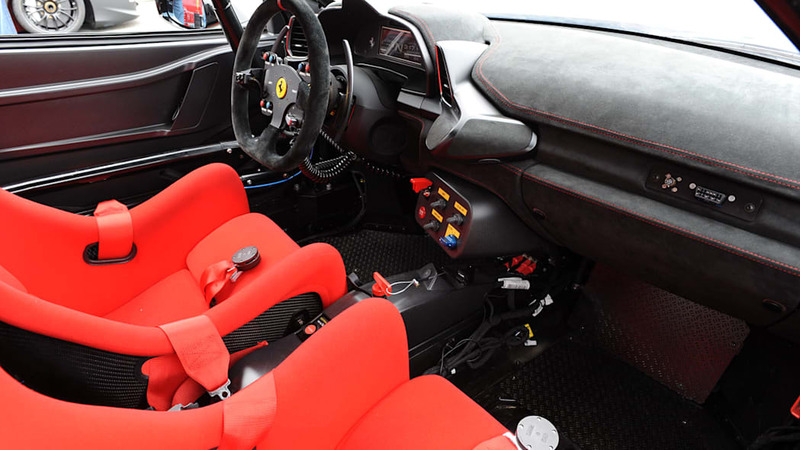 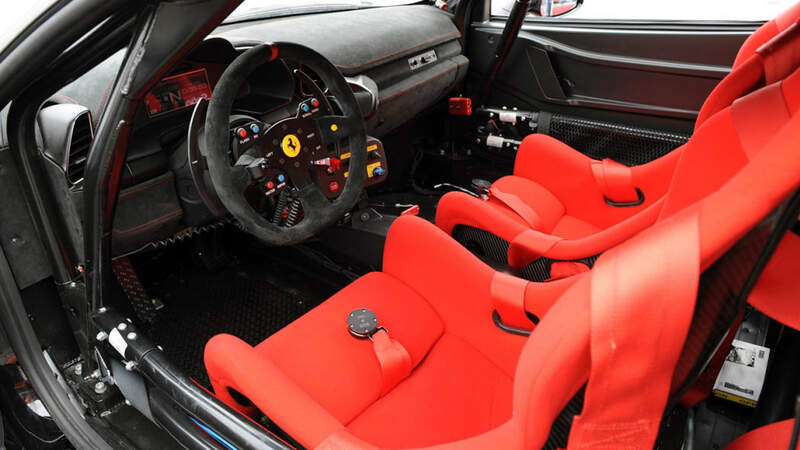 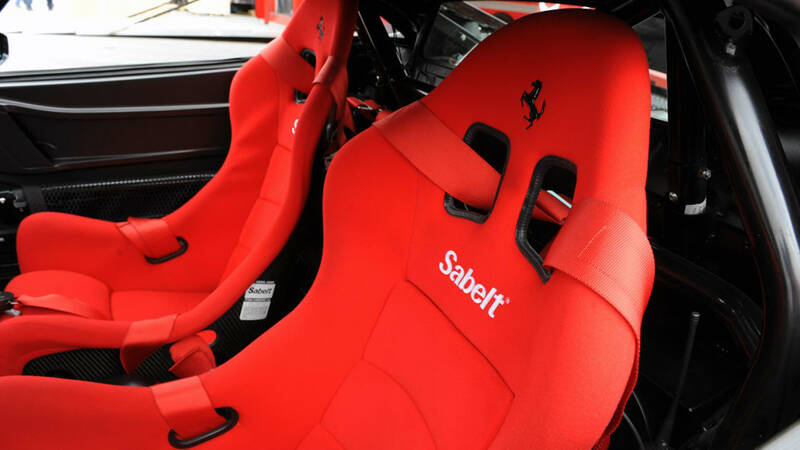 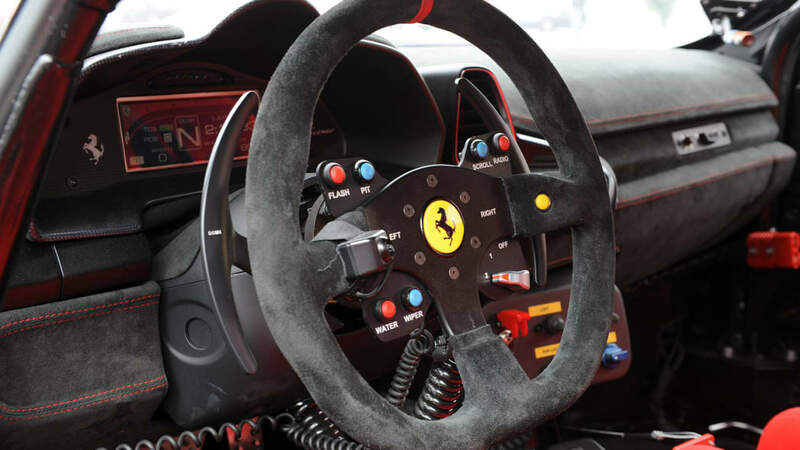 Much of the rest of the interior is taken up with necessary racing equipment such as a roll cage, five-point harnesses and communications, telemetry and safety equipment. 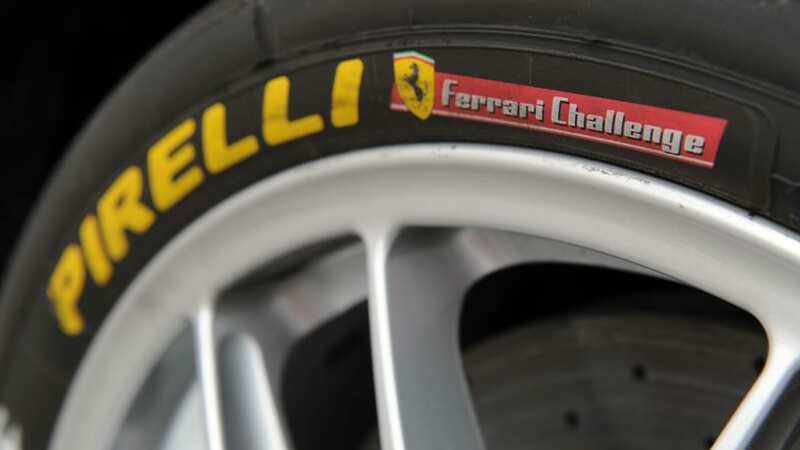 Ferrari claims that the 458 Challenge can pull up to 1.6g while cornering, and much of that is due to a revised suspension setup and Pirelli racing slicks mounted on center-nut lightweight racing wheels. 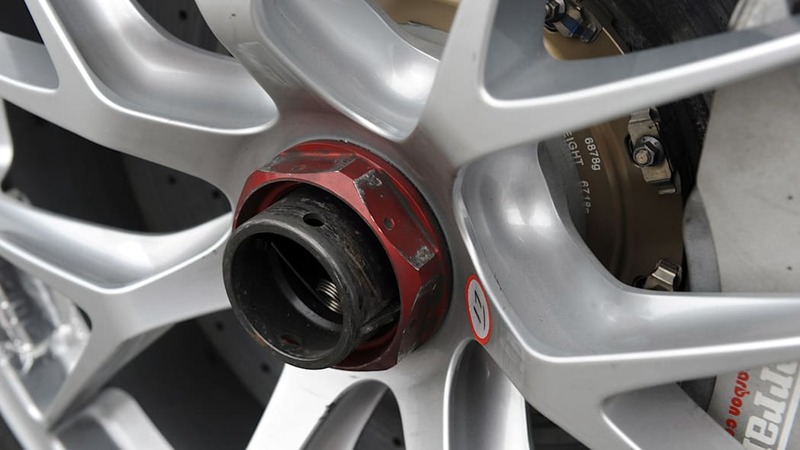 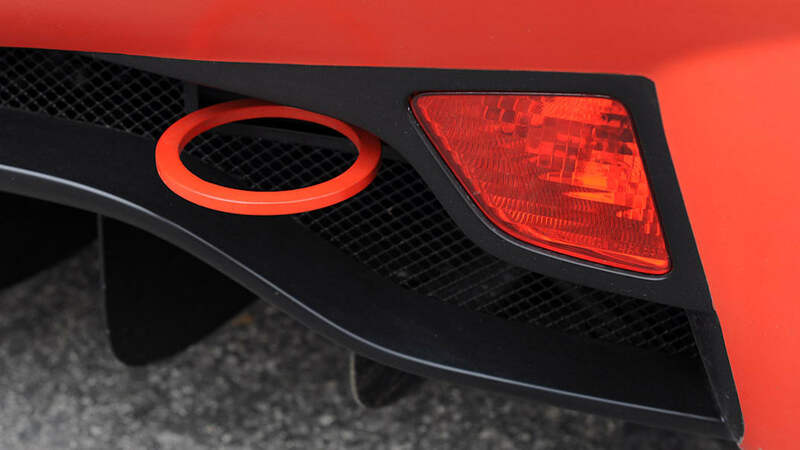 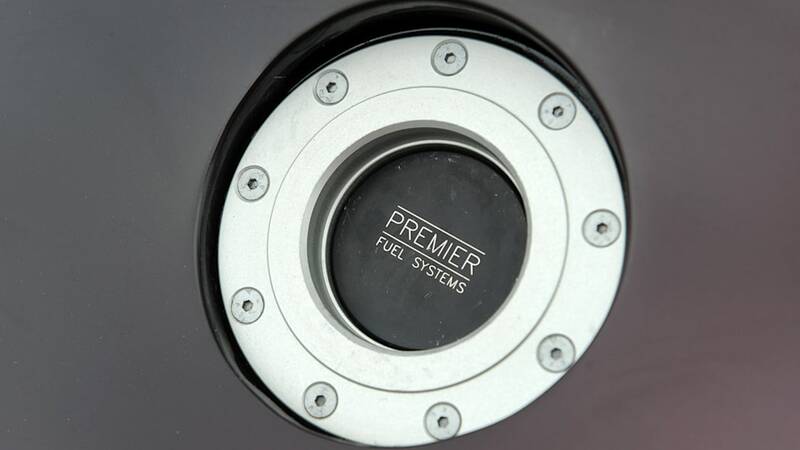 Solid aluminum bushings, stiffer springs that lower the car 30mm, and single rate dampers all contribute to the increased handling performance as well. 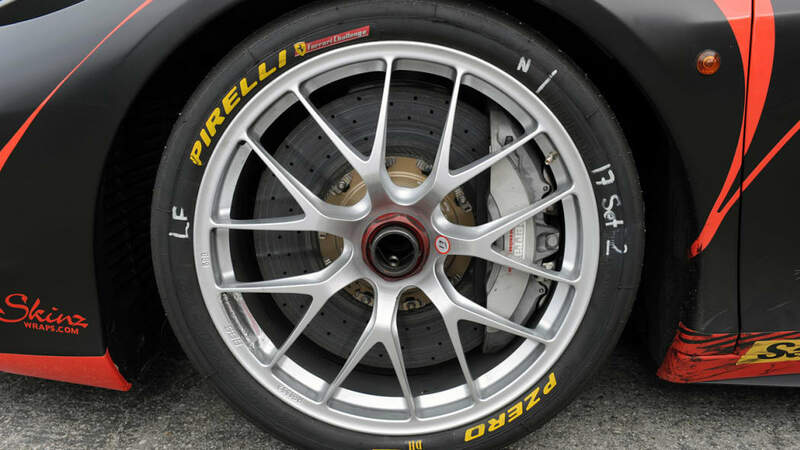 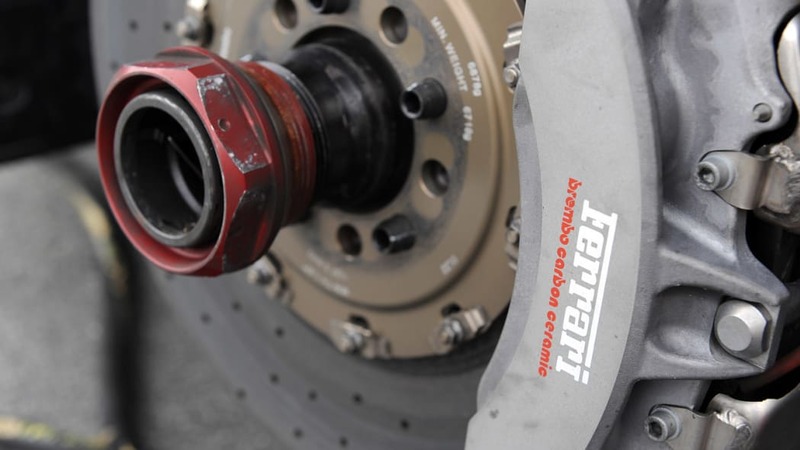 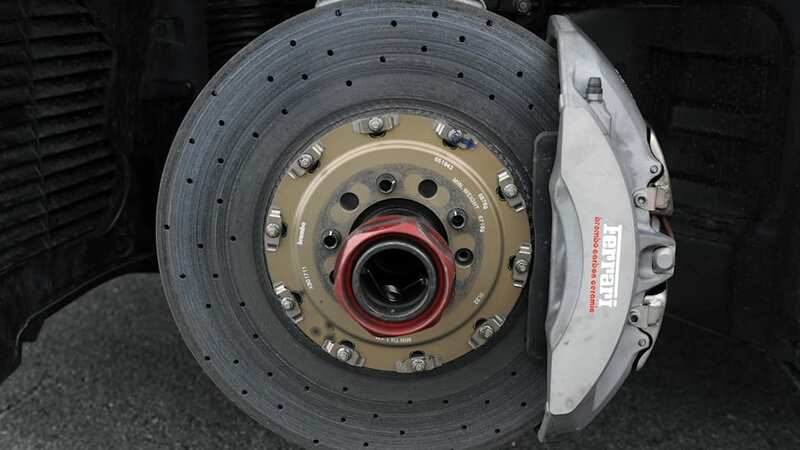 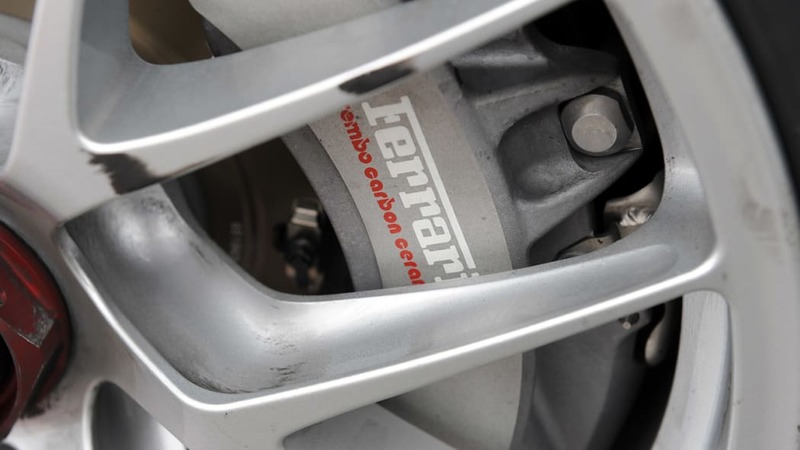 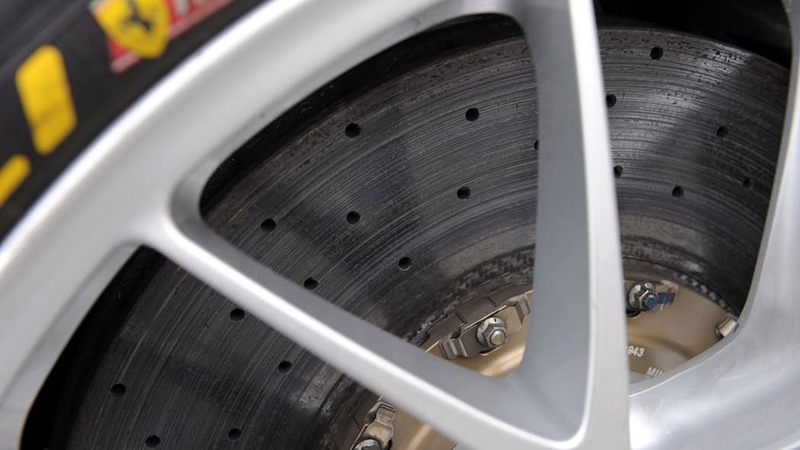 For braking duties a set of next generation Brembo CCM2 carbon ceramic brakes that debuted on the 599XX have been fitted, and an ABS system that can be configured for both low and high grip situations is programmable via a switch on the steering wheel. 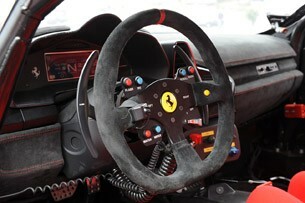 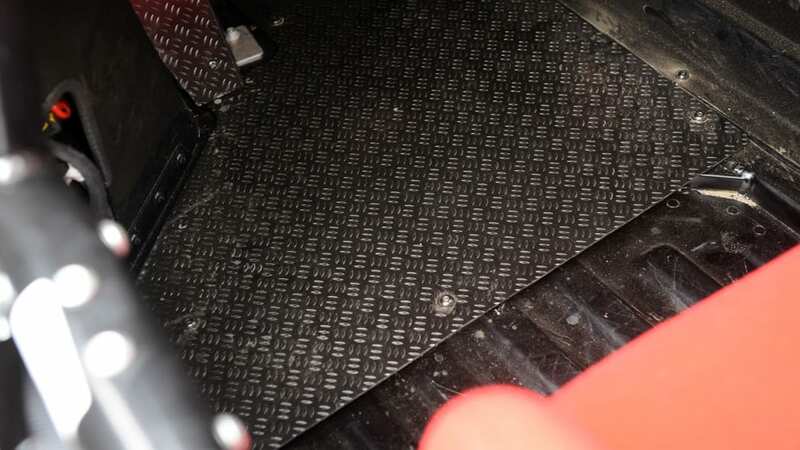 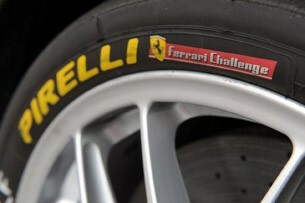 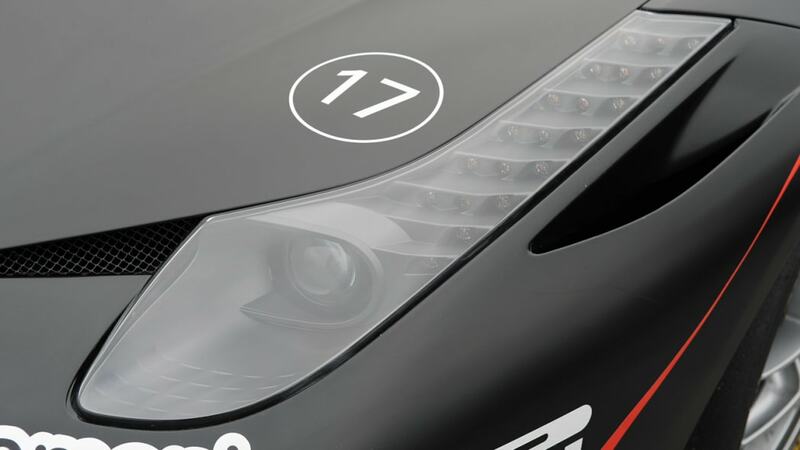 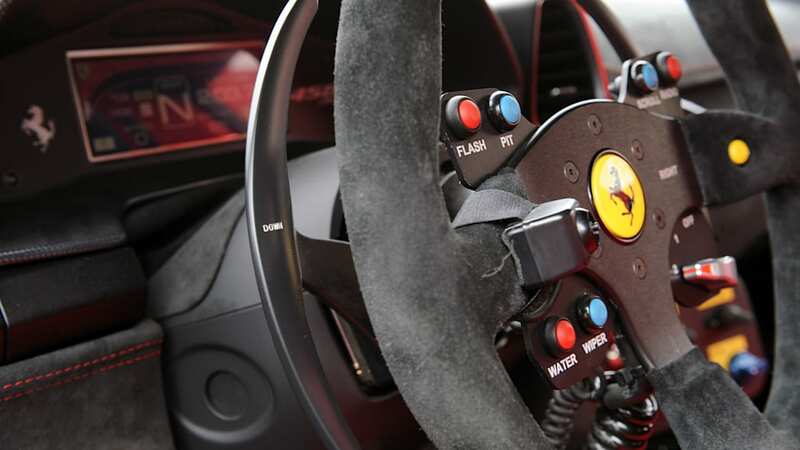 A first for a Ferrari Challenge model is the F1-Trac traction control system. 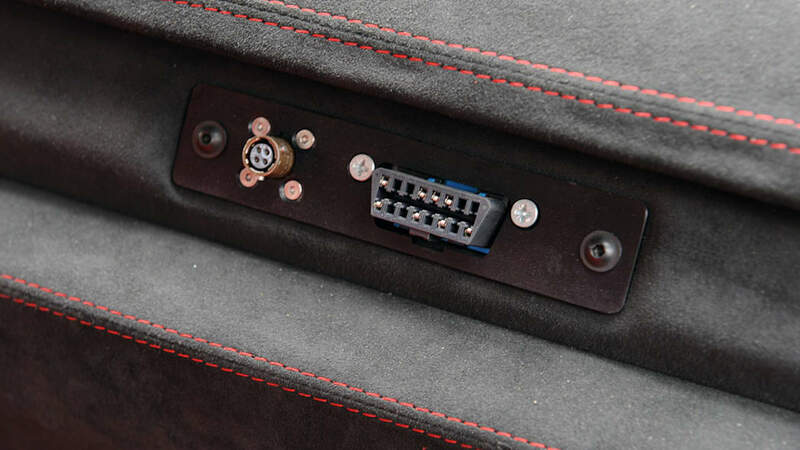 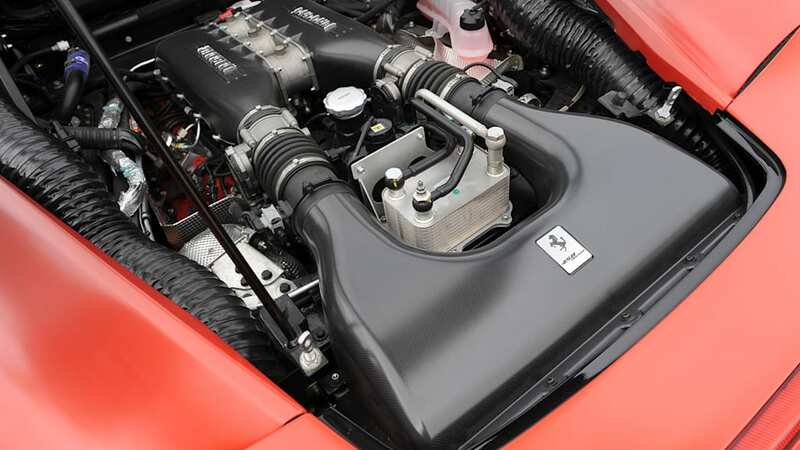 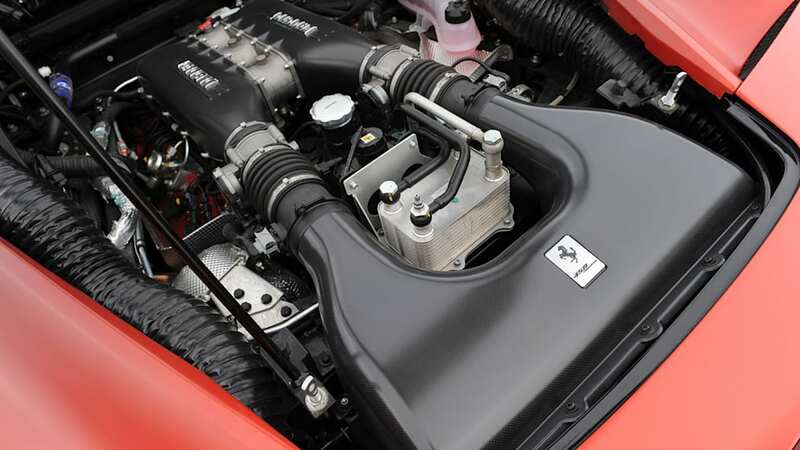 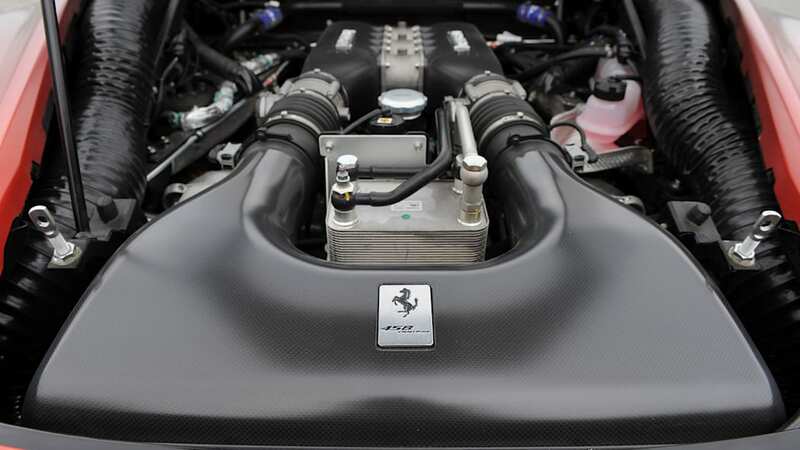 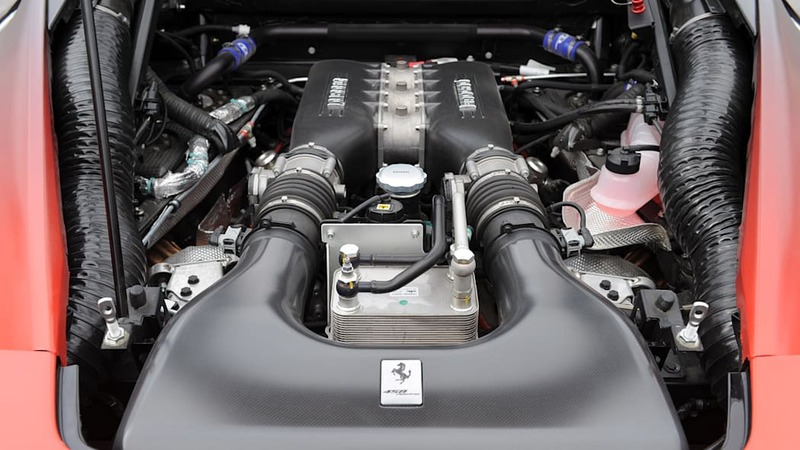 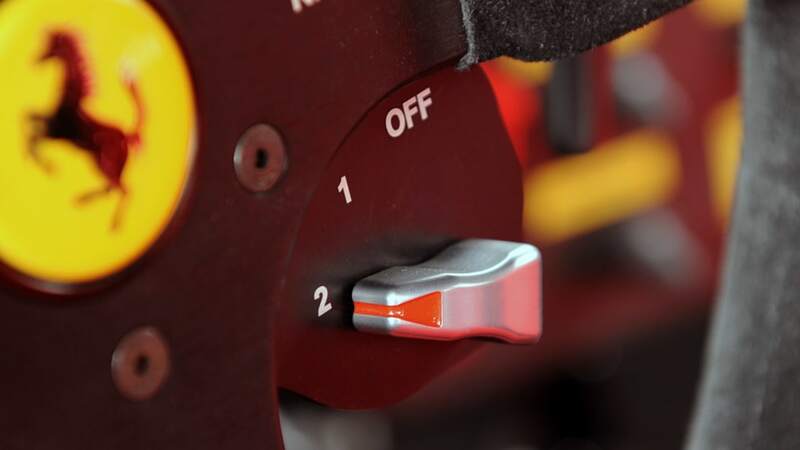 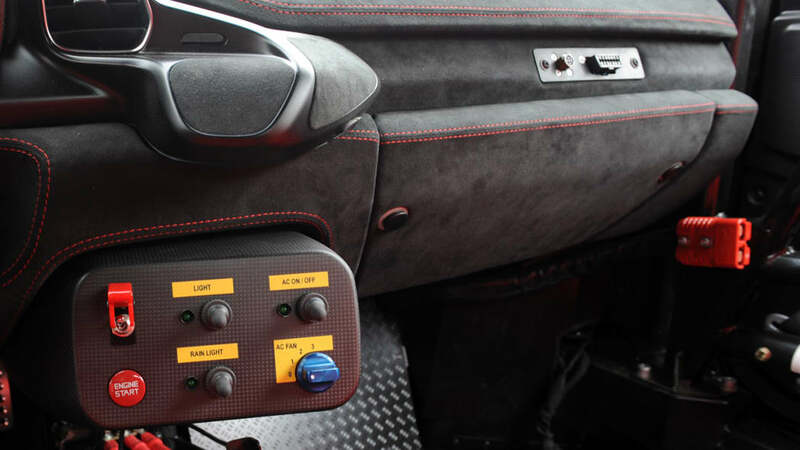 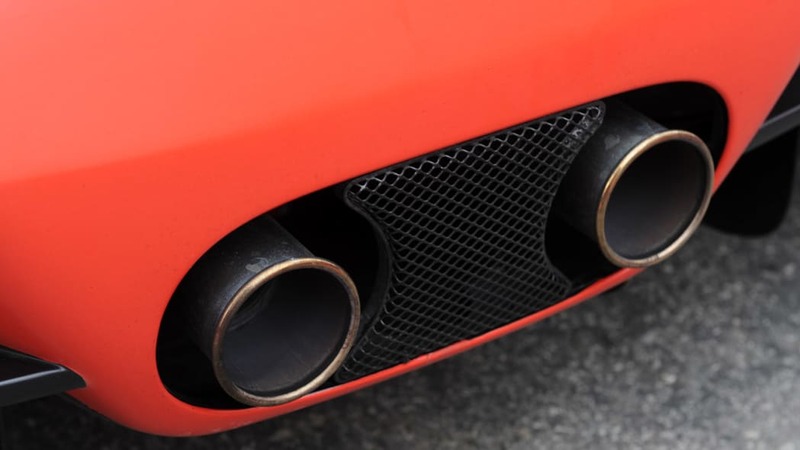 The system constantly monitors grip levels and works in conjunction with Ferrari's E-diff system found in the 458 Italia road car, another first for a Challenge car. 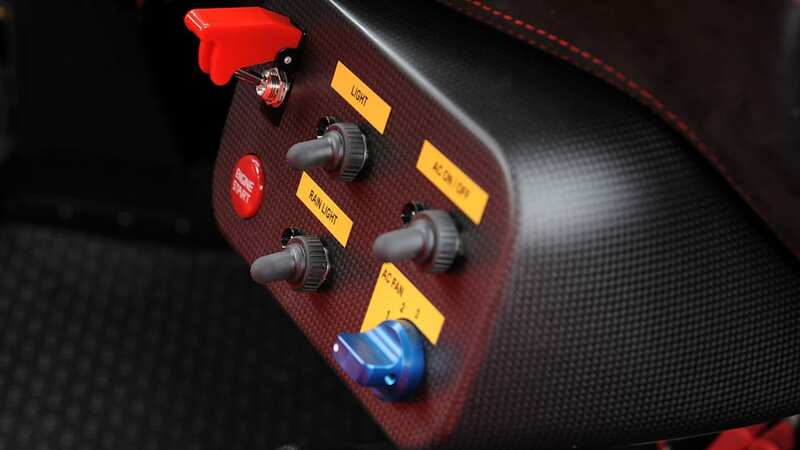 Each of these systems can be programmed though the steering wheel as well. 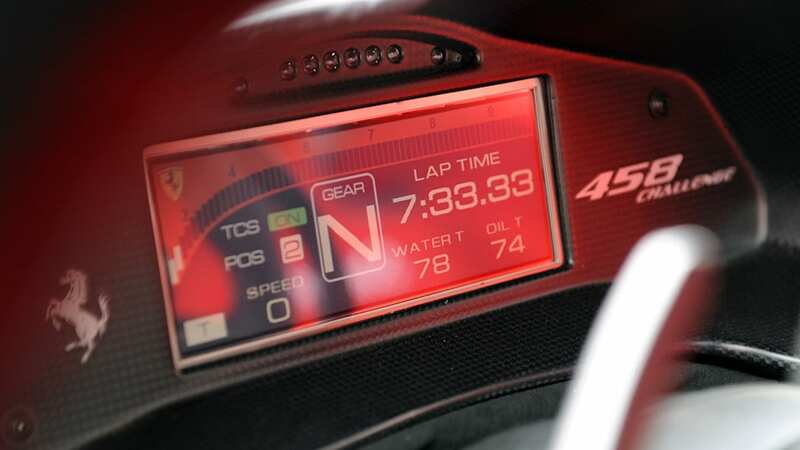 All of that adds up to a two-second lap time advantage compared to the 430 Challenge at Ferrari's official Fiorano test track in Italy. 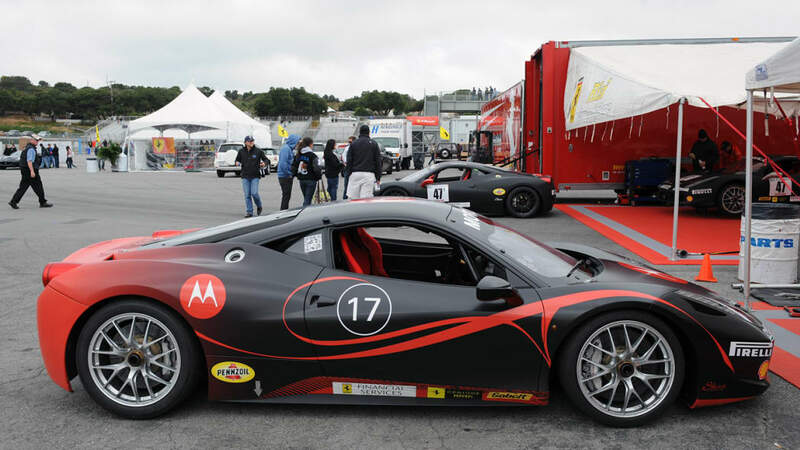 At Laguna Seca this past weekend, the 458 Challenge had a further advantage, with the top drivers separated by a full three seconds. 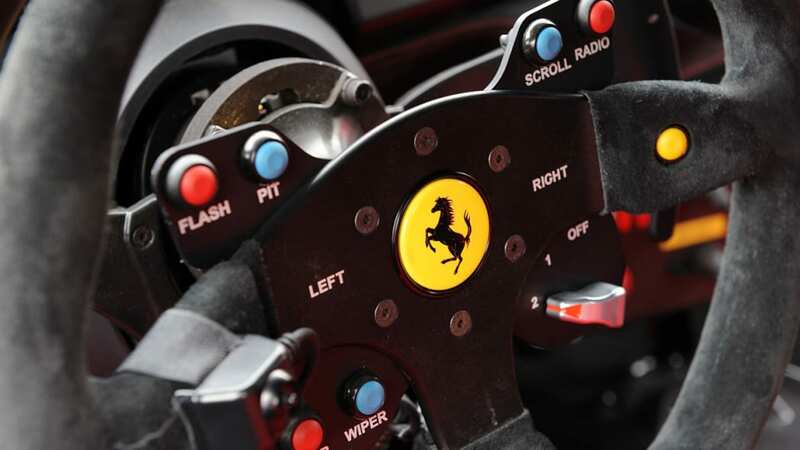 Perhaps most importantly, the knowledge gained from hours upon hours of track time will eventually lead to new technologies and developments that will find their way into Ferrari's future road cars. 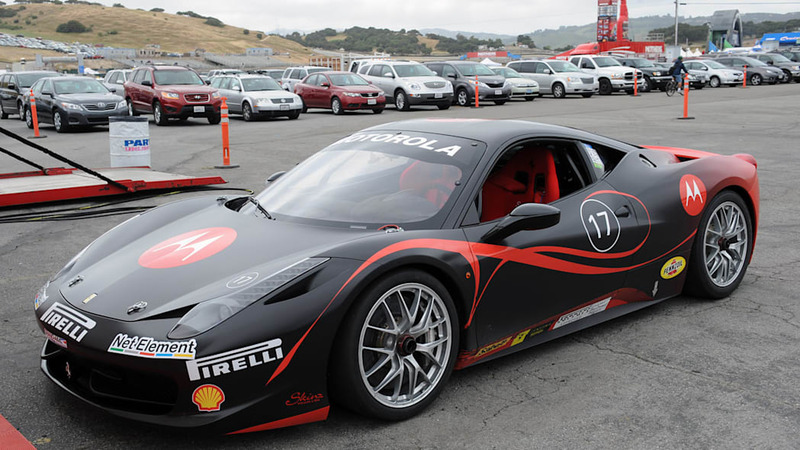 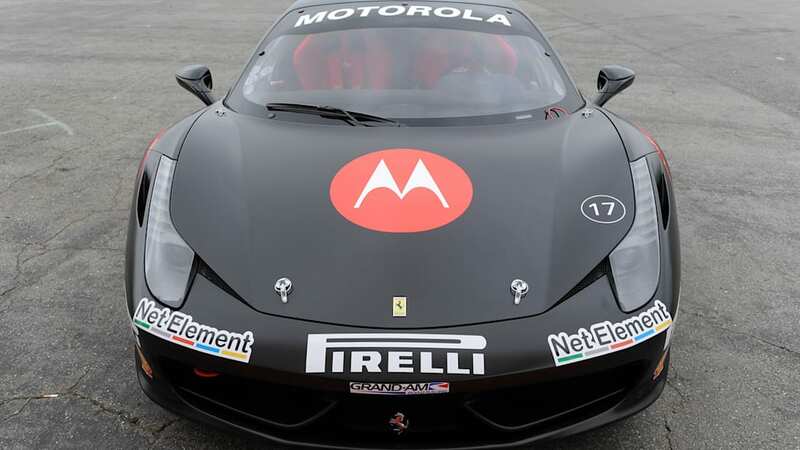 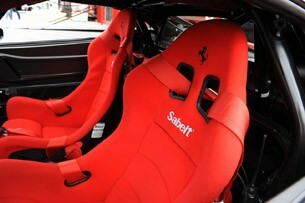 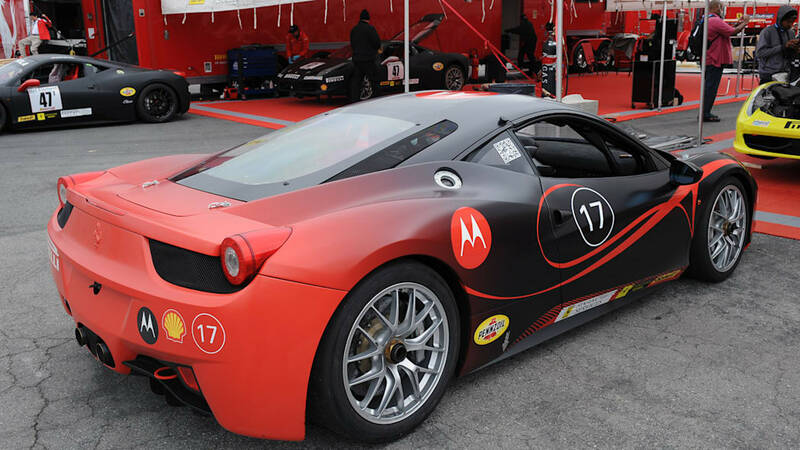 If Ferrari follows its own history, we should see a road car inspired by the 458 Challenge sometimes in the near future.